Path of Honor Chapter 1 is another RPG game from dream forge studios and minijuegos. 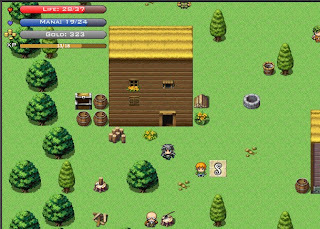 Prepare for long hours of gamplay in this exploration adventure role playing game. Fight lots of monsters as you do quests and discover new places and characters while uncovering the story of the game. Utilize different weapons from bows to plasma guns and make upgrades on them. Also accquire new skills as you level up! Here is a short gameplay video whilst we wait for a Path of Honor Chapter 1 walkthrough to be available.